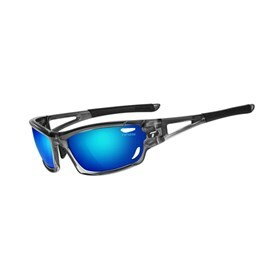 The Tifosi Dolomite 2.0 Polarized Sunglasses are perfect single lens sunglasses for multiple activites, which feature clarion polarized lenses. The sunglasses frame is made of Grilamid TR-90, an incredibly light and durable nylon material that resists chemical and UV damage. It provides vented lenses prevent from fogging and comes with an adjustable ear and nose pads. These sunglasses feature hydrophilic rubber for ear and nose pads, which increase their grip while sweating. The Tifosi 1020502855 has many exciting features for users of all types. The Tifosi 1020502855 is sold as a Brand New Unopened Item.